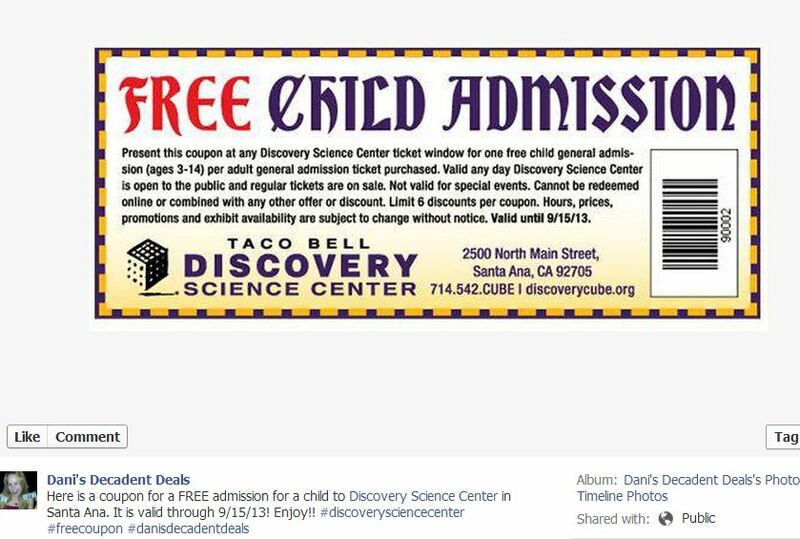 FREE admission for a child to the Discovery Science Center in Santa Ana through 9-15-13 with coupon above! 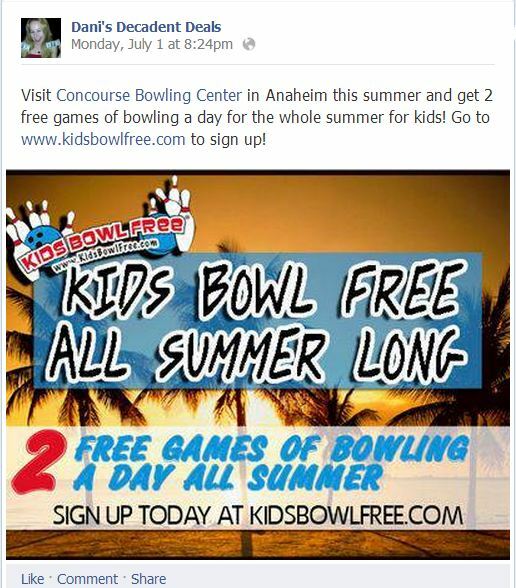 Head over to Concourse Bowling in Anaheim where kids can bowl free this summer. 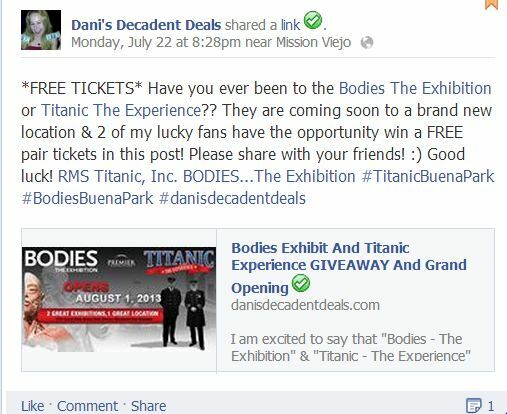 Read my article HERE to find out how to win tickets to these 2 awesome exhibits! I have 2 sets of tickets to give away! See pictures and details inside! 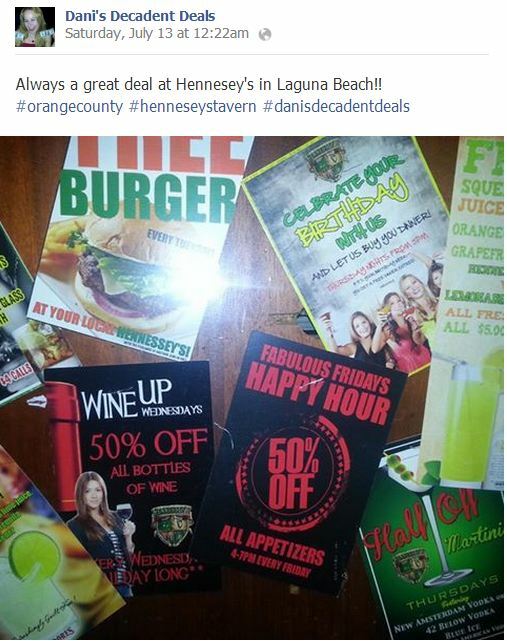 Every day of the week there is an awesome happy hour opportunity at Hennesey’s! 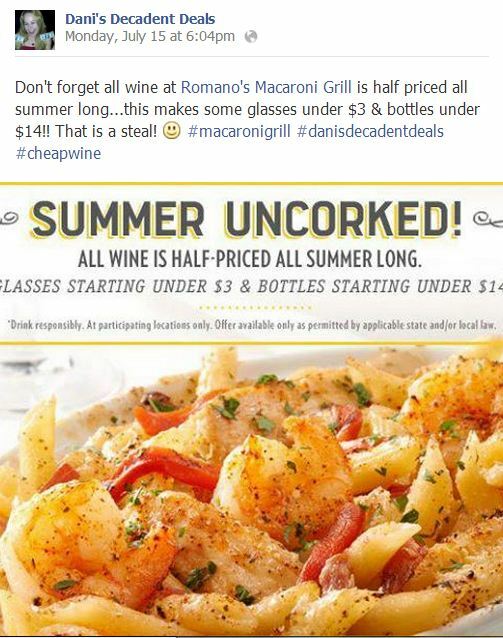 Get half priced wine at Romano’s Macaroni Grill all summer long everyday! 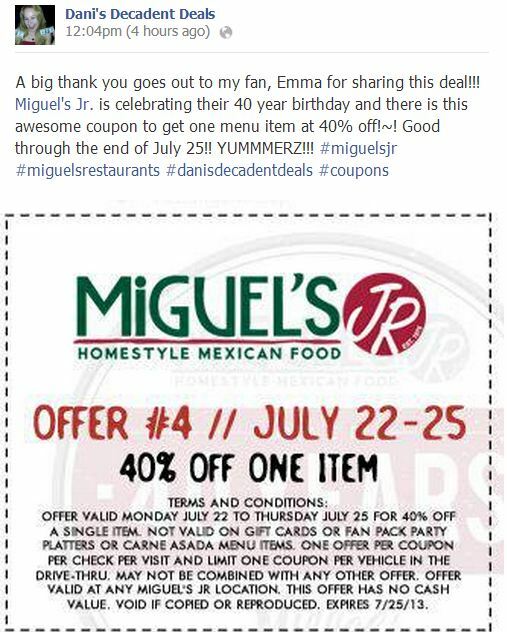 Get 40% off any one menu item at Miguel’s Jr. with coupon above to celebrate their 40 year birthday. 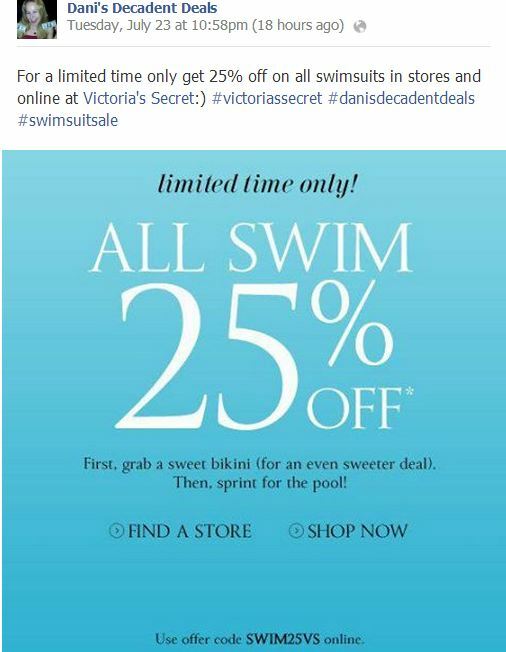 Good through July 25th! 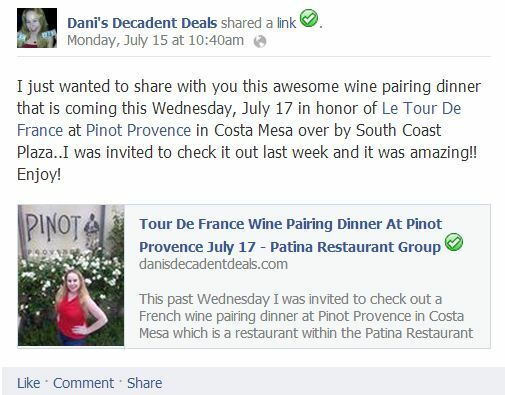 Check out my review: PINOT PROVENCE HERE about this fabulous French restaurant in Costa Mesa. 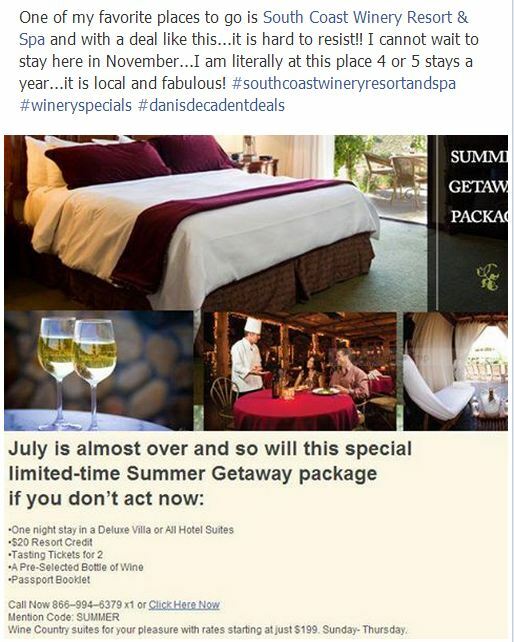 South Coast Winery is one of my favorite places to stay and they are offering a fabulous summer package above. Travel must be completed by August 31. 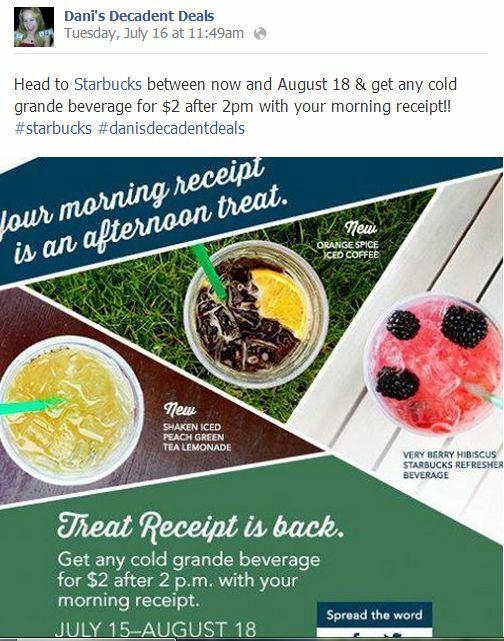 Get a drink at Starbucks for $2 after 2pm when you bring in your receipt from your morning beverage at Starbucks. This is by far one of my favorite events to do yearly! 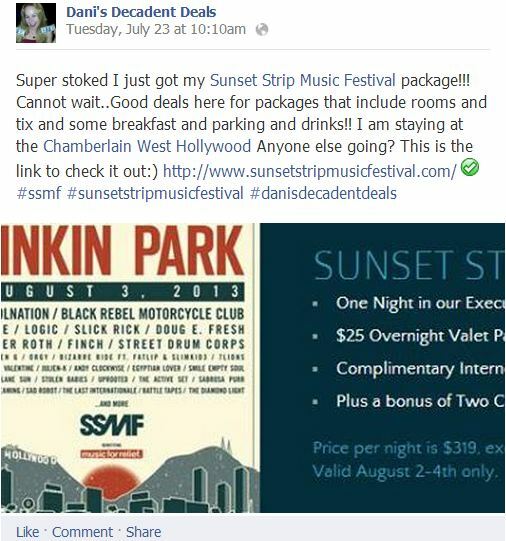 The SSMF concert happens when Sunset Blvd. is shut down and there are bands all over. 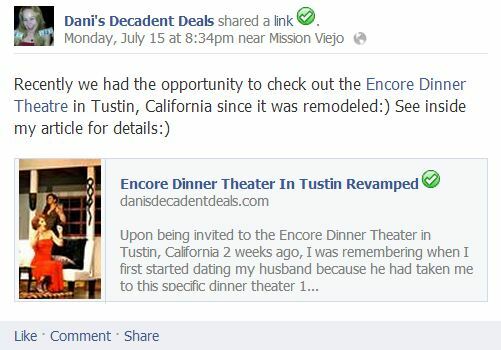 You found out so many great deals!! Sounds great:) Thank you! I will check it out:) Do you ship everywhere? 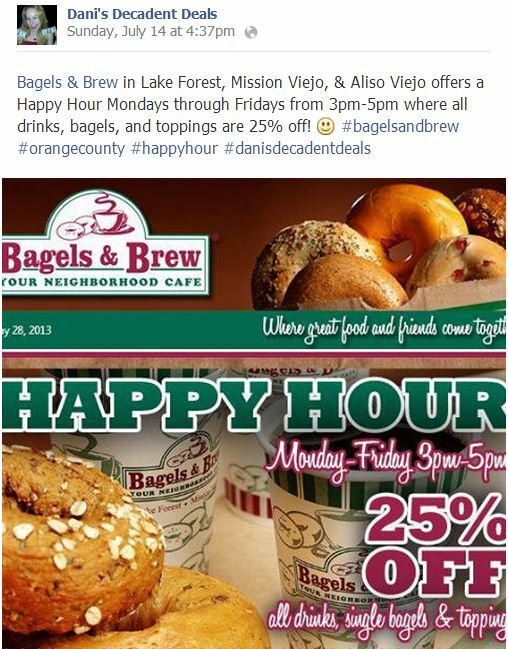 It would be great to have someone in Tucson like you who would find all the great deals around town. Happy hour one? It is a bit early for you? Maybe you will come from work early one day? Bet we can even use that P.F. Chang’s coupon in Tucson! Of course you can! 🙂 Most of my deals are usually national! 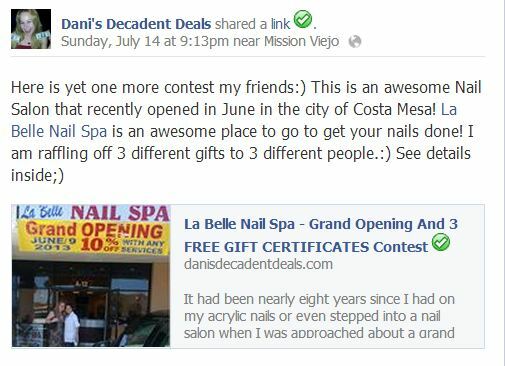 It’s so fun to see all the deals on your page! Great work!!! 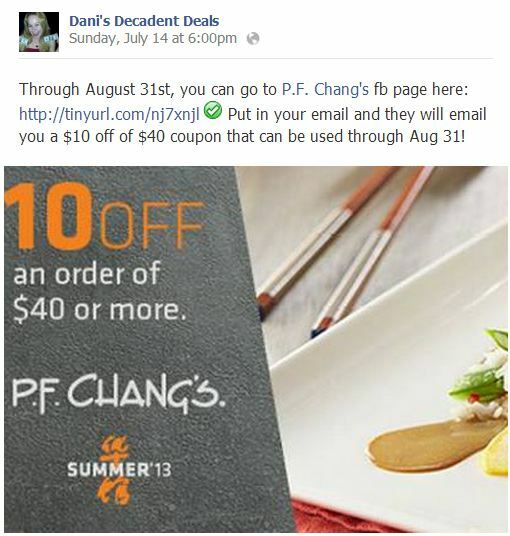 Is the coupon good for PFChangs in Phoenix? 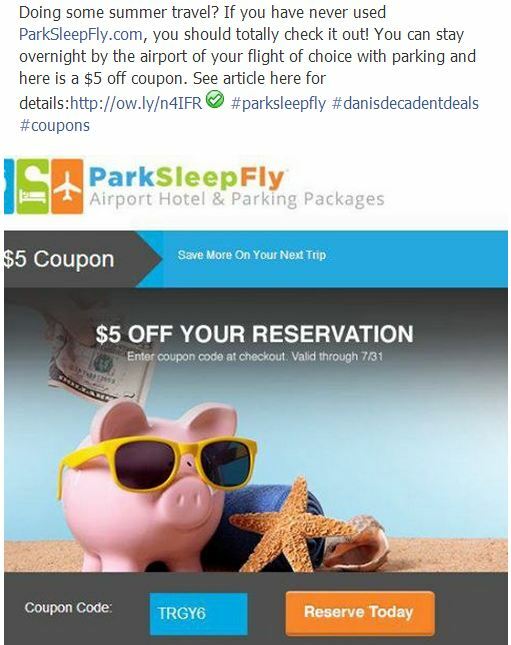 Love coupons, freebies, and discounts. Thanks so much for keeping us posted! Danu, do you have any deals on truck tires ? Awesome deals. So glad I know about this site! WOW!!! I appreciate the work you do in providing this for us. Incredible!!!! 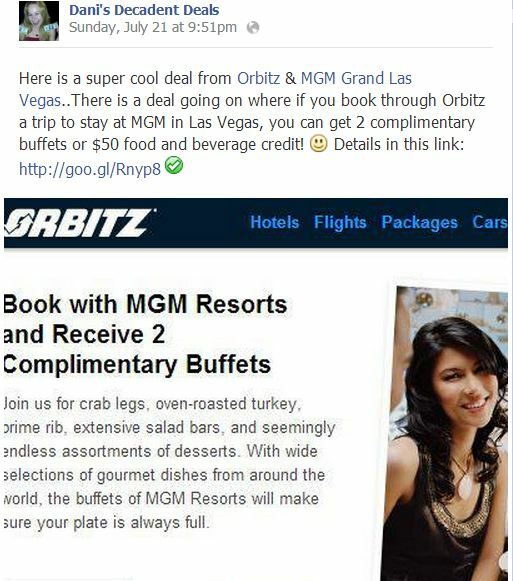 I love coupons, shared your post with all my friends Thanks!